ChargeIt by Jay Gold Pebbled Round Melamine Charger Plate 13"
Home > Products > ChargeIt by Jay Gold Pebbled Round Melamine Charger Plate 13"
Use the ChargeIt by Jay Gold Pebbled Round Melamine Charger Plate 13" to add visual flair to your table setting. 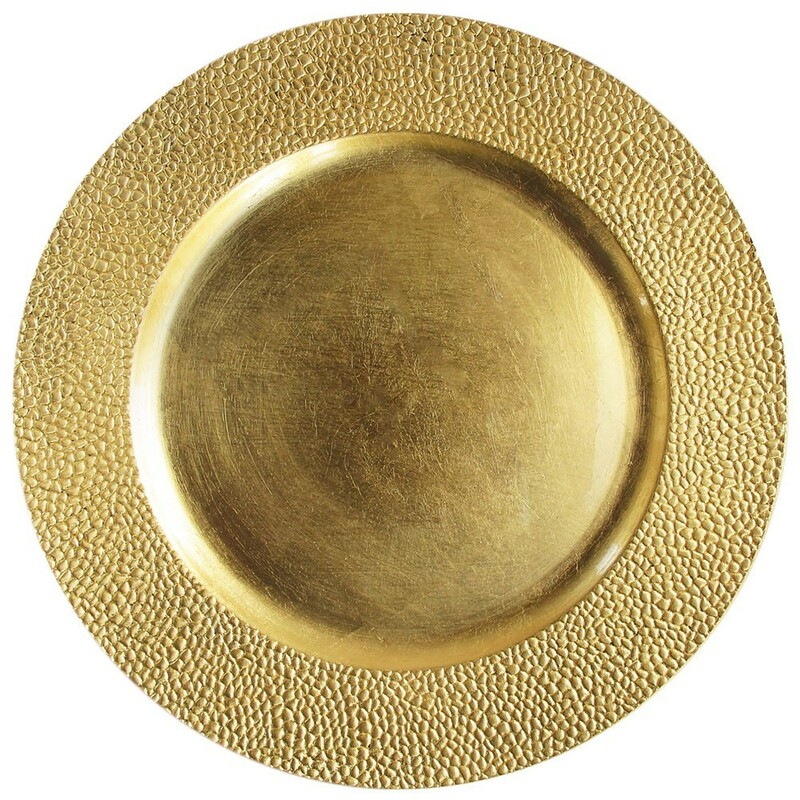 Accented with an eye-catching pebbled rim, this charger plate beautifully frames dinnerware. Thanks to its sophisticated gold finish, this charger boasts an antique, aged appearance perfect for creating a timeless ambiance for any formal events. Made from high quality melamine, this charger plate boasts a delicate look that belies its unbeatable durability and longevity. A stylish and functional piece, this charger plate accommodates any dinner plate, platter, or bowl and protects against spills and mess. To keep this charger plate in excellent condition, hand washing is highly recommended.